Bilimbi is a fruit loaded with tanginess. The name is different in different places. The shiny greenish fruit is rich with nutrition facts and health benefits. As it is very tangy we used to put them in fish curries instead of tamarind or mangoes. 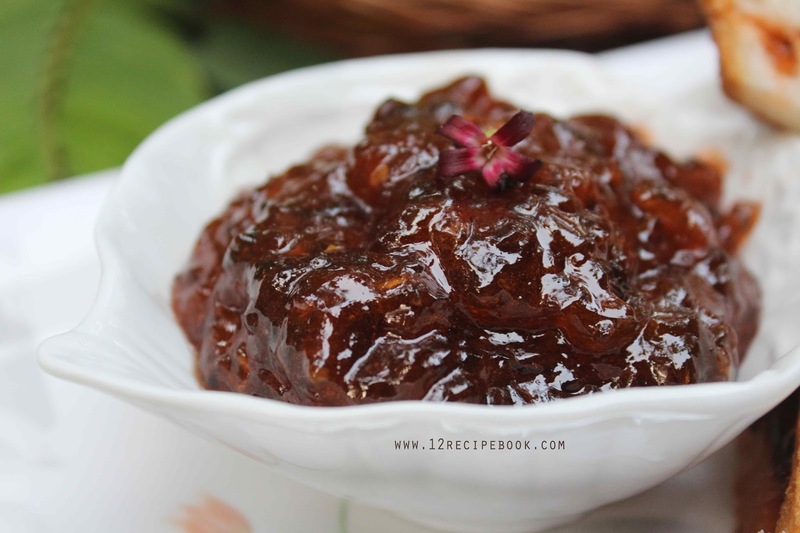 Bilimbi pickle is one other common recipe. Here i'm sharing a sweet treat using this tangy fruit. 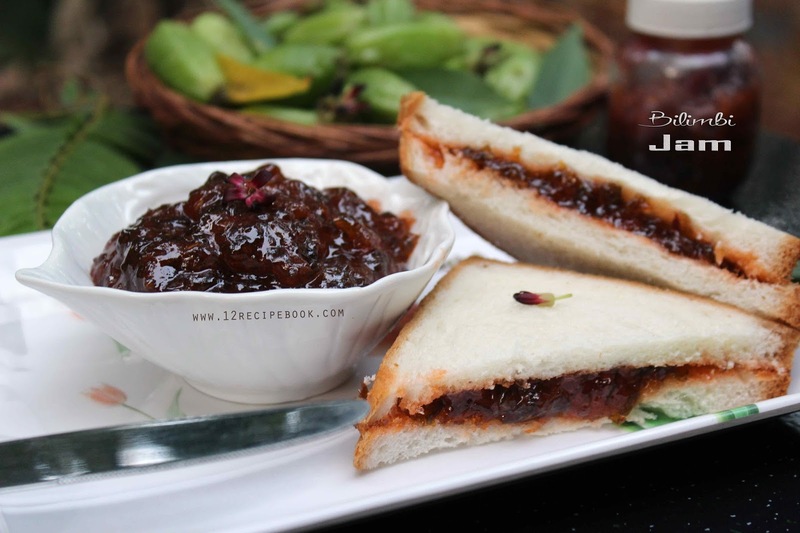 It is 'Jam". 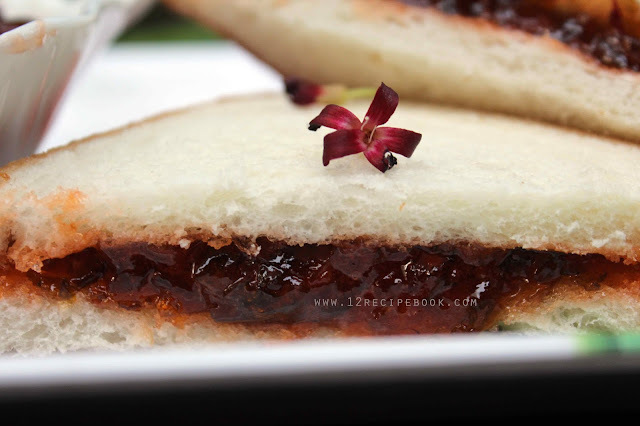 Try this wonderful jam recipe and don't forget to leave your feed backs in the comment box below. Clean and wash bilimbi's and chop them in to small circles. Heat a pan with water (about 4 cups or to immerse the fruit fully). When it boils; add chopped bilimbi; cover the lid and cook for about 5 minutes or until the fruit becomes slightly transparent in texture. The turn off heat and drain the water completely. In a pan; add sugar, cinnamon stick, water and strained bilimbi. Mix well and cover cooks for about 15-20 minutes or until thickens. Open the lid occasionally and stir them well. While stirring mash the fruit with well with ladle. When it almost done; remove the cinnamon stick from the pan; Add a pinch of food color and mix well. Turn off heat when the jam just starts thickening; no need to thick more like jam; Because after cools down; it become thicker.